At Treuvis Eyes Nails Body Laser Spa, you can get luxurious facials with premium Image Skincare® products that are designed to enhance your skin, reverse the signs of aging, and resolve unsightly blemishes. To book your personalized facial in this Clinton Township, Michigan, based spa, click on the online booking feature. You can also call the spa directly to schedule. How can a facial help my skin? All facial services at Treuvis Eyes Nails Body Laser Spa are entirely tailored to you and your unique skin needs. You can even opt for a premier 24-karat gold facial mask for superior anti-aging effects and optimal skin firmness. Before getting started on your facial treatment, your aesthetic specialist discusses your skin care goals with you. Because the team uses a wide variety of clinical-grade Image Skincare products and premium skin care lines, they can customize your facial in order to achieve optimal anti-aging, skin clearing, and skin-smoothing benefits. After you slip into a luxurious spa robe, you lie back on the massage table and your skin care specialist starts pampering you. They begin by thoroughly cleansing your skin and if you have congested pores, they may also apply steam to help open up your pores. During your facial, your practitioner applies a series of masks, skin care solutions, astringents, and moisturizers, using precise massage strokes every step of the way to improve blood flow. As an alternative to traditional spa facials, or if you only have about 30 minutes for a facial, your skin care specialist may suggest a HydraFacial®. The HydraFacial involves using a special tool to deliver rapid pulses of skin care solutions to your skin, while simultaneously massaging your face. Similar to traditional facials, the products used in your HydraFacial are specific to your unique skin needs. 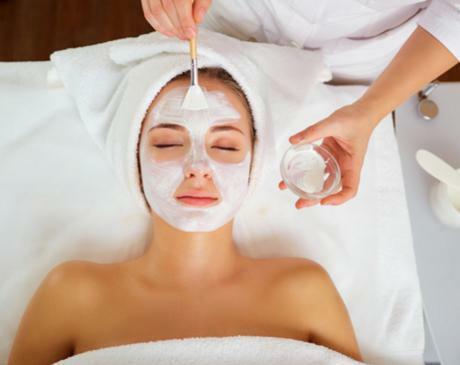 Facials are very beneficial for improving your skin tone and texture, reversing the effects of aging, refreshing and rejuvenating your skin, and helping you de-stress. The team of skin care experts at Treuvis Eyes Nails Body Laser Spa generally recommend monthly facials. If you have a chronic skin concern, such as acne breakouts, want optimal anti-aging benefits, or just need a little pampering, you can certainly come in more frequently. 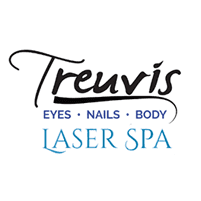 Schedule your custom facial at Treuvis Eyes Nails Body Laser Spa today. Book online or over the phone.